CENTRIA SERVICIOS ADMINISTRATIVOS S.A.C. - CENTRIA S.A.C. ROCK DRILL CONTRATISTAS CIVILES Y MINEROS S.A.C. EMP.DE SERV. MINEROS Y MANT.GRAL S.R.L. CONSOL.SUPPLY MANAG.SERV. LOG. PERU S.A.
PEOPLE OUTSOURCING SOCIEDAD ANONIMA CERRADA - PEOPLE OUTSOURCING S.A.C. C & B LOGISTICS S.A.C. 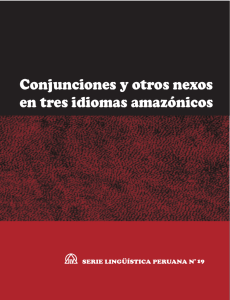 TORRES UNIDAS DEL PERU S.R.L. CONSTRUCTORES DE PIQUES Y SERVICIOS MINEROS E.I.R.L. PAE PERU INGENIERIA DE SERVICIOS S.A.C. PROCESADORA INDUSTRIAL RIO SECO S.A.
AMAUTA IMPRESIONES COMERCIALES SOCIEDAD ANÓNIMA CERRADA - AMAUTA IMPRESIONES COMERCIALES S.A.C. 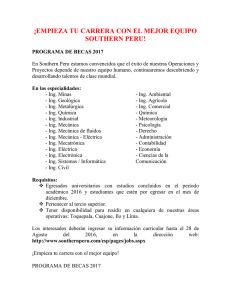 ODEBRECHT PERU OPERACIONES Y SERVICIOS S.A.C. SISTEMAS ORACLE DEL PERU S.A.
CORPORACION DE SERVICIOS GR S.A.
CNG HOLDINGS PERU LIMITED S.R.L. INNERWORKINGS PERU SOCIEDAD ANONIMA CERRADA - INNERWORKINGS PERU S.A.C. 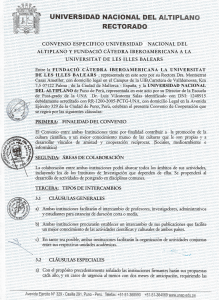 SERVICIOS DE MOLDES PLASTICOS S.A.C. SERVICIOS POSTALES DEL PERU SOCIEDAD ANONIMA "SERPOST S.A."
HAPAG-LLOYD ( PERU ) S.A.C. ABERCROMBIE & KENT PERU S.A.C. COSTAMAR TRAVEL CRUISE & TOURS S.A.C. EXXON MOBIL AVIACION PERU S.A.
CORPORACION PERUANA DE AEROPUERTOS Y AVIACION COMERCIAL SOCIEDAD ANONIMA - CORPAC S.A.
FARGOLINE SOCIEDAD ANONIMA - FARGOLINE S.A. I & G HISPANIA S.A.C. BLUE MARLIN BEACH CLUB S.A.
HOTELERA COSTA DEL PACIFICO S.A.
DOMINIONPERU SOLUCIONES Y SERVICIOS S.A.C. - DOMINIONPERU S.A.C. TOP COMERCIALIZADORA Y DISTRIBUIDORA S.A.C. NEGOCIACIONES E INVERSIONES DORAL S.A.C. 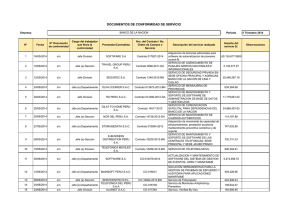 SERVICIOS AEREOS DE LOS ANDES S.A.C. ENVASADORA SAN GABRIEL S.R.L. - ESG S.R.L. EMPRESA DE TRANSPORTES PERU BUS S.A.
MANUFACTURAS DE ACERO COMERCIAL E INDUST RIAL S.A.
GESTION DE SERVICIOS AMBIENTALES S.A.C. EMPRESA DE TRANSPORTES URBANO LINEA 4 S.A.
AURENLAC SOCIEDAD ANONIMA CERRADA - AURENLAC S.A.C. A. BERIO Y CIA S.A.C. EMPRESA DE TRANSPORTES Y SERVICIOS VIRGEN DE LA PUERTA S.A.
LIMA BUS INTERNACIONAL 1 S.A.
INDUSTRIAS ROLAND PRINT S.A.C. / INROPRIN S.A.C. SERVICIOS INDUSTRIALES DE LA MARINA S.A.
VIDRIERIA 28 DE JULIO S.A.C. INMOBILIARIA E INVERS. SAN FERNANDO S.A.
TDM ASFALTOS SOCIEDAD ANONIMA CERRADA - TDM ASFALTOS S.A.C. 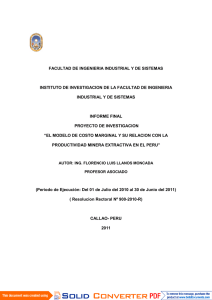 CONSTRUCCIONES ELECTROMECANICAS DELCROSA S.A. O DELCROSA S.A.
INGENIERIA DE LA INFORMATICA S.A.
CAMPARI PERU SOCIEDAD ANONIMA CERRADA - CAMPARI PERU S.A.C. KONECRANES PERU SOCIEDAD COMERCIAL DE RESPONSABILIDAD LIMITADA - KONECRANES PERU S.R.L. SC INGENIERIA Y CONSTRUCCION S.A.C. METALES INGENIERIA Y CONSTRUCCION S.A.C. HEINZ - GLAS PERU S.A.C. TIGRE PERU - TUBOS Y CONEXIONES S.A.
AMCOR RIGID PLASTICS DEL PERU S.A.
INVERSIONES Y PROCESOS PLASTICOS BARRERA SOCIEDAD ANONIMA CERRADA - INVERSIONES PB S.A.C. SOLPACK SOCIEDAD ANONIMA CERRADA - SOLPACK S.A.C. INDUSTRIA PROCESADORA DEL PLASTICO SAC. CHEM MASTERS DEL PERU SA. PRODUCTOS NATURALES DE EXPORTACION S.A. - PRONEX S.A.
GRANJA RINCONADA DEL SUR S.A.
ODEBRECHT LATINVEST PERU DUCTOS S.A.
APM TERMINALS INLAND SERVICES S.A.
EMPRESA DE TRANSPORTE TURISTICO OLANO S.A.
HOTELES SHERATON DEL PERU SOCIEDAD ANONIMA CERRADA - HOTELES SHERATON DEL PERU S.A.C. DHL GLOBAL FORWARDING PERU S.A.
CONCESIONARIA VIAL DEL PERU S.A.
YOBEL SUPPLY CHAIN MANAGEMENT S.A.
EDITORIAL E IMPRENTA ENOTRIA S.A. - ENOTRIA S.A.
REXAM PERU SOCIEDAD ANONIMA CERRADA - REXAM PERU S.A.C. CORPORACION TEXTIL IMPERIO DEL SOL S.A.
FABRICA DE TEJIDOS ALGODONERA LIMEÑA S.A.
GRUPO REPSOL DEL PERU S.A.C. ALGECIRAS SOCIEDAD ANONIMA - ALGECIRAS S.A.
SERVICIOS DE CALL CENTER DEL PERU S.A.
DESARROLLO VIAL DE LOS ANDES S.A.C. 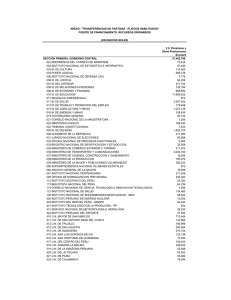 ODEBRECHT LATINVEST OPERACIONES Y MANTENIMIENTO S.A.C. BRITISH AMERICAN TOBACCO DEL PERU HOLDINGS S.A.
INDUSTRIAS UNIDAS DEL PERU S.A.
PRODUCTOS EXTRAGEL Y UNIVERSAL S.A.C. COMPAÑIA MOLINERA DEL CENTRO S.A./CIA. 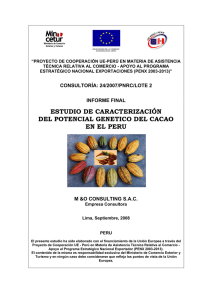 MOLINERA DEL CENTRO S.A.
CORPORACION FRUTICOLA DE CHINCHA S.A.C. PROCESADORA DE ALIMENTOS TI-CAY S.R.L. ESTACION DE SERVICIOS HERCO S.A.C. ESTACION DE SERVICIOS EL TREN S.R.L. ADMINISTRADORA DE SERVICIOS Y ASOCIADOS S.A.C. 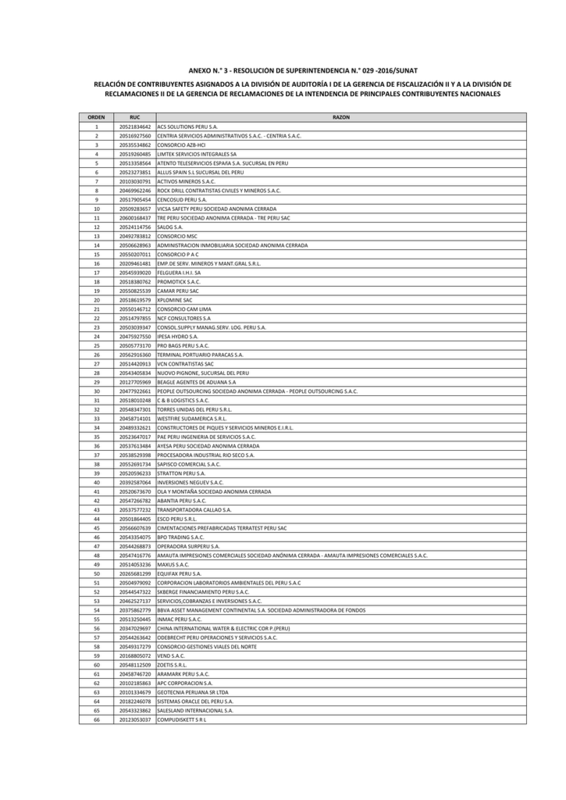 ESTACIONES DE SERVICIO GASOLINAS DE AMERICA SOCIEDAD ANONIMA CERRADA - GASOLINAS DE AMERICA S.A.C. ABA SINGER & CIA. S.A.C. MULTILLANTAS THOMAS IMPORTADORES SOCIEDAD ANONIMA-MULTILLANTAS THOMAS IMPORTADORES S.A.C. M & M REPUESTOS Y SERVICIOS S.A.
DETROIT DIESEL - MTU PERU S.A.C. 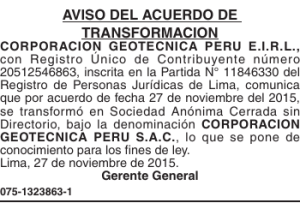 NEUMA PERU CONTRATISTAS GENERALES S.A.C. MASAKI SOCIEDAD ANONIMA CERRADA - MASAKI S.A.C. MOTORED SOCIEDAD ANONIMA - MOTORED S.A.
LIMAUTOS AUTOMOTRIZ DEL PERU S.A.C. LOS HERRAJES DEL SUR S.R.L. 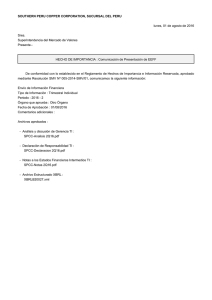 INVERSIONES MERCABA SOCIEDAD COMERCIAL DE RESPONSABILIDAD LIMITADA - INVERSIONES MERCABA S.R.L. AGRICOLA SOL DE VILLACURI S.A.C. PACKAGING PRODUCTS DEL PERU S.A.
DSM MARINE LIPIDS PERU S.A.C. 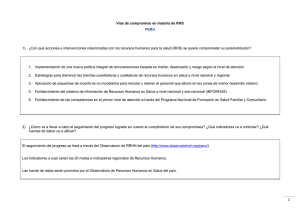 MEAD JOHNSON NUTRITION (PERU) S.R.L. FABRICA DE TEJIDOS PISCO S.A.C. HILANDERIA DE ALGODON PERUANO S.A.